A foolish young village belle looking to be hitched? 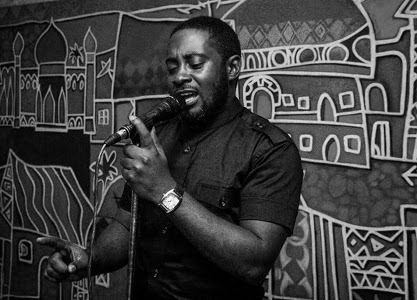 Sage is Nigeria’s premier spoken word poet. He has featured in over 400 events, both small and big, across the country. He has done about a 100 brand poems written specifically for certain organisations and products including MTN, Coca Cola, Harp, Satzenbrau, Gulder, and Unilever. He has performed at different shows including Hip Hop World Awards in 2006 and 2010, Big Brother Nigeria, Arts Alive in South Africa. He has recorded and released two spoken word poetry albums. He is also a regular guest on regular TV and radio. Before his performance career, Sage was a star reporter with Ovation magazine. He has acted on a stage play, and now he is angling to write his first made movie and is currently establishing himself as a life coach with a newly written inspirational fable that has been snagged by a publisher.